Please note that product images are enlarged to show detail. The actual item is 0.758 - (approx. 3/4 in.) inches long and 0.758 - (approx. 3/4 in.) inches wide. 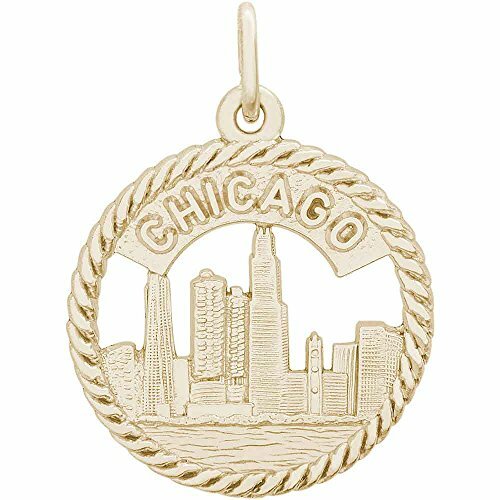 The Chicago Skyline Charm, 14K Yellow Gold is hand-polished with a High Polish finish. The charm shape is Flat Back. Every Rembrandt charm comes with a heavy-duty jump ring that can be twisted open and easily attached by you. All Rembrandt Charms are guaranteed for life.